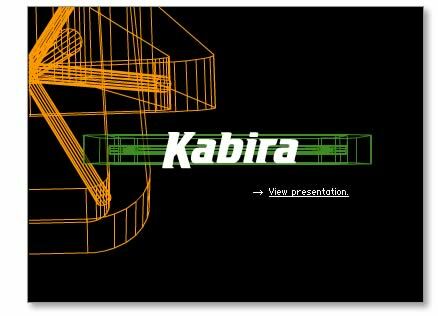 Over the course of three years working with Kabira, my partners and I created ads, websites and direct mail; collaborated on complete rebranding; helped sales rise from under $100,000 to above $24 million per year; generated more than 25,000 sales leads; and the client landed major contracts including VISA, AT&T, Lucent, EDS, Alcatel and US Dept. of Defense. I collaborated on all concepts and did all copywriting. It certainly got people’s attention. At the time it was created, there really nothing else like it. At least, nothing we had ever seen. Cutting-edge presentation technology can be effective – but only if the presentation works flawlessly. The web had been littered with streaming videos that didn’t stream, requiring technology that viewers didn’t have. They were ineffective at best, counter-productive at worst. In this case we were just far enough ahead of the curve, without going over the edge. Many thanks to a great client, Grover P. Righter for having the vision to go through with this project, and to Jef Lear, the outstanding Flash developer.